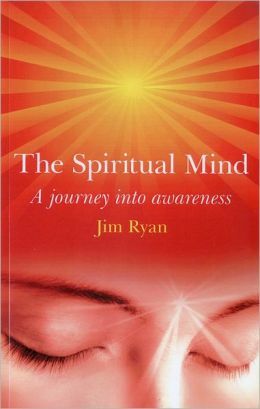 If you feel like meditation will bring you a stronger connection to your spiritual self but always felt like doing so was an impossible task, then you should check out Jim Ryan’s The Spiritual Mind. The book starts by describing the mind: “A subtle energy and an integral part of the spiritual self.” It then goes on to describe different attitudes that permeate our minds, which make connecting with the Divine—more challenging. This was a good place to start; I believe it’s always good to know what you’re up against. Changing your thought patterns can be difficult unless you’re really motivated. I definitely saw myself at times in my life in the “stone mind”, a tank-like, uncompromising attitudinal state that seems to crush anything in its path without remorse. But I also saw friends and clients in some of the various other mind states that Ryan presents. I think the most people I could remember were of the “sponge mind” trying to hard to keep up with everything in the mundane world that eventually they give up attempting to connect entirely. I also recognized a few people in the “fragrant mind” state, which is the one that interested me the most because a lot of my clients come to me for tarot readings saying, “Only tell me the good things.” Wanting to see the best in every situation is a hallmark of this particular attitude. Unfortunately, when negative experiences occur, the person is let down and has no spiritual support whatsoever. Trust me when I tell you that you’ll see yourself and people you know in these descriptions. I found them very useful indeed. What follows is an excellent primer for people who have never meditated before. Ryan provides different meditations that are used as the learner becomes more comfortable with meditation. In Part 3, “A Change of Mind”, the author describes how spiritual growth occurs, and he’s right to point out that this takes practice. Like anything worth doing, the process of meditating takes time and patience. At each stage, Ryan provides an additional meditation and describes practical ways to use the mind. In some cases, the steps for each stage are broken down into smaller pieces, and I think this is a good choice. Meditation can seem overwhelming enough, and you risk losing the reader. While it was never stated in the book, as a psychic I can’t help but wonder if people become more intuitive as they gain a greater connection to the Divine using this method. Many psychics of all faiths ascribe their ability to messages from a spiritual source, so it wouldn’t surprise me that a sort of “intuition” eventually starts to occur. The Spiritual Mind is recommended for beginners to meditation, or to those who want to deepen their spiritual connection further.